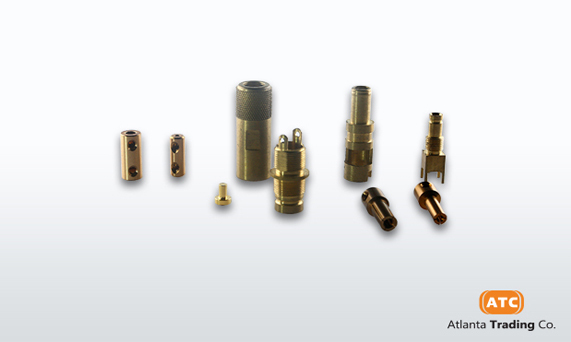 Atlanta Trading Company, Inc., along with our partnering companies, specializes in producing customized components for vacuum industry use. We have the ability to produce very high quality machined/stamped parts, using the latest technology available. This allows ATC to be proud of our professional service, trusted quality, and very competitive prices. ATC, along with our partners, have extensive knowledge in this field, with our strengths being very consistent quality control, and accurate lead time. All of our parts are 100% inspected before leaving the factory, so this will allow you to no longer experience any difficulties in sourcing your products. ATC will always respond quickly to your inquiries, and we will provide you with efficient one-stop service for all your demands and vacuum components. Just some of the materials we use include (Kovar, Inconel, Stainless Steel, ESR Stainless Steel, Chromel, Alumel, Ni 200, Be-Cu, Ni-Fe, Cu-Ni, Molybdenum, Monel, Non-magnetic Stainless Steel, All materials are strictly selected and tested to meet your hermetic sealing requirements.